Having trouble with your refrigerator? There are some common causes to refrigerators not working properly. If you notice your refrigerator not cooling, ice maker not working, or perhaps just an unusually noisy appliance, some DIY troubleshooting may give you enough information to identify a broken part that needs replacement. It’s always best to call a licensed service technician to service and repair your appliance, and knowing what refrigerator replacement parts may be needed will help you understand the charges. However, if you’re handy and up to the task, you may figure out the problem and find an inexpensive replacement part to get the job done. Troubleshooting: The thermistor is responsible for monitoring the temperature inside your refrigerator. The thermistor then sends this temperature reading to the control board, initiating the systems cooling your refrigerator. 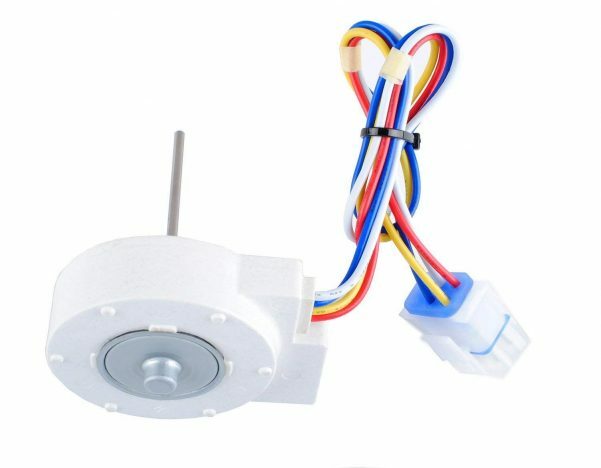 When the thermistor is defective, the cooling system won’t work properly. This is among the most common refrigerator replacement parts. Solution: You can use a multimeter to check the continuity of the thermistor. 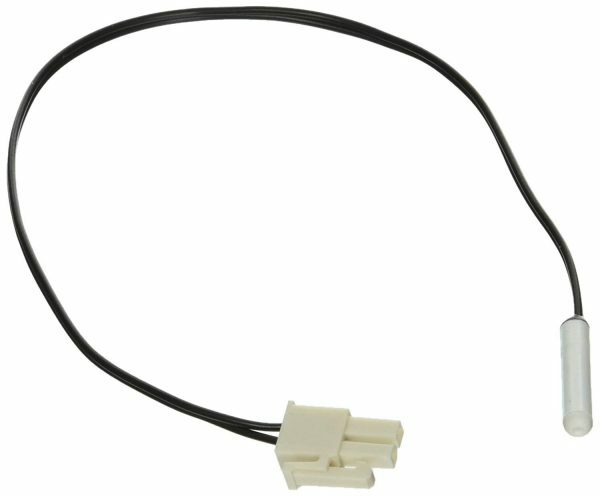 If the thermistor is failing or not operating consistently, you’ll need to replace it. Troubleshooting: The evaporator fan motor powers the fan that circulates cold air throughout the freezer and refrigerator compartments. If you notice your freezer working fine, but the refrigerator feels warm, a likely cause is a faulty fan motor. Another clue that your evaporator fan motor isn’t working properly is if your refrigerator sounds unusually loud. 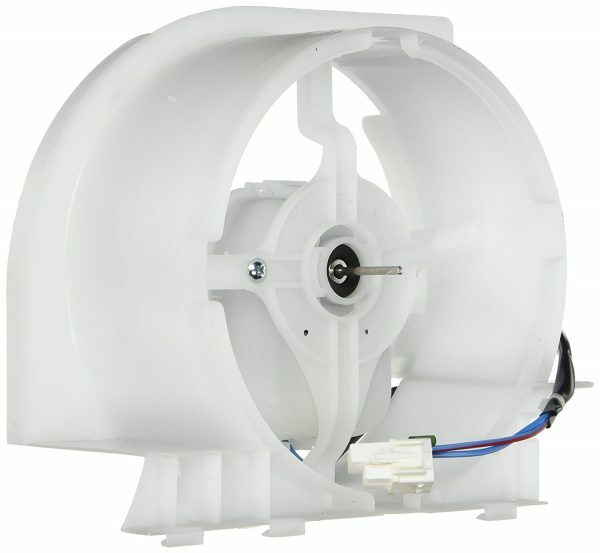 Solution: Test your evaporator fan motor with a multimeter. If it does not show continuity, it should be replaced. Troubleshooting: Refrigerators that have their condenser coils mounted in the compressor compartment use fans to force air through the coil to dissipate heat and cool the refrigerator. If the condenser fan is not working properly, not only is the condenser at risk of overheating, but the internal temperature of the refrigerator will continue to rise. Solution: You will need a multimeter to check the condenser fan motor for continuity. If you determine there is no continuity, replace the condenser fan motor. Troubleshooting: The ice maker relies on a pressurized water supply filtering into the ice maker module. If the water inlet valve doesn’t have enough water pressure to open the valve, your ice maker won’t receive enough water to make ice, and the dispenser won’t have anything to eject into the ice tray. The water inlet valve needs at least 20 psi to function properly. Solution: First, check the water pressure and confirm there is at least 20 psi. Next, determine if the water inlet valve is getting power. Use a multimeter to check for power to the water inlet valve. 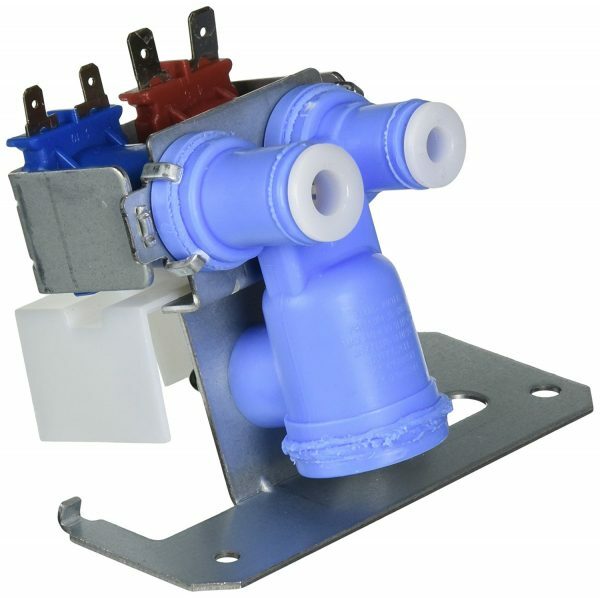 If the water inlet valve has adequate water pressure and sufficient power coming through, then the water inlet valve is defective and needs to be replaced. 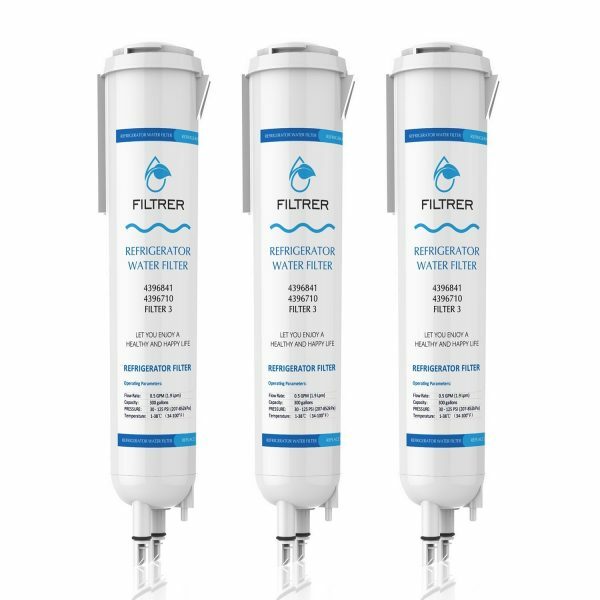 Troubleshooting: The most common, inexpensive, and simple of the refrigerator repair parts is the water filter. A dirty or clogged water filter is often the culprit of unnecessary worry. A clogged water filter restricts the flow of water to the ice maker prohibiting the production of ice. Water filters should be replaced about every 6 months to ensure water quality and unrestricted water flow to the ice maker module. Solution: Check the date on your water filter. If it’s old, install a fresh filter. We’ve made it easy to find the refrigerator replacement part you need.